GREAT NEWS! The Golf R 400 Is USA-Bound! Right now I want you to picture James May saying “Great news!” (If you have a miserable imagination, or just want to see it again, click here) Why? Because I just heard some. The great news is that Volkswagen board of management member Dr. Heinz-Jakob Neusser has confirmed that the Golf R 400 will be sold in the USA. In case you don’t remember, the Golf R 400 is the gloriously crazy version of the Golf rocking a 400 hp 2.0L turbo I4, AWD, and the sportiest handling VW can manage on a Golf. The only questions remaining are there: Will the production car keep the cool bright green accents? 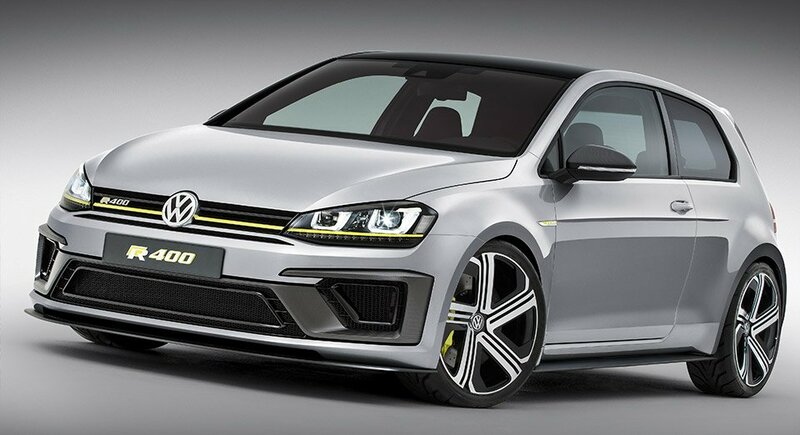 Given that the “regular” Golf R already costs $36,595, how bloody expensive is this going to be?